If you are currently in Singapore and would like a session with us at our Holistic/Therapy Centre, please see our full range of services by clicking here. Below are Remote Services that are available to people around the World. 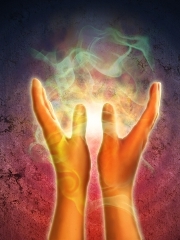 We work with very powerful and positive Higher Dimensional Universal Energies which have no limits in terms of physical distance, and enable us to help our many Global Clients who come from Singapore, Malaysia, Thailand, Myanmar, Indonesia, Philippines, Vietnam, India, China, Taiwan, Hong Kong, Japan, Korea, United States of America, Canada, England (United Kingdom), Germany, Spain, Italy, Romania, Turkey, Cyprus, Africa, Australia, New Zealand, etc. Our Worldwide clients come from all backgrounds, such as medical surgeon, doctors, nurses, University professor, Fortune 500 company CEO, Managing Director of multinational bank, company directors, business-owners, corporate employees, government officials, film-maker, United Nations researcher, fashion model, IT professionals, engineers, HR professionals, property & insurance agents, teachers, housewives, students, Yoga teachers, Lightworkers, healers, etc. NOTE: Please contact us to confirm the details before making payment below, as No Refunds will be made after payment has been made. All rates are in Singapore Dollars. Currency Conversion is done by Paypal system. The following services/courses are currently only available in Singapore. Healing therapist and counsellor Adrian Ng was able to quickly identify my overall needs once I have given him details about myself. The services he offered me was truly beneficial. During the session, he was aware and sensitive of the situation as well as my concerns and will offer advice accordingly. That, I guess is expected of a Master Soul Being. Amazing. I can say that Adrian Ng is very proficient in his healing ability as I could feel the energy run through my arms. After the session, for the first time I could feel energy coursing inside my whole body. Thanks for the work you have put into writing my (Akashic) Record. I have just started reading it and I had to contact you straight away. I'm totally totally blown away by this Adrian a couple of years ago I had a dream about my narcolepsy In my dream I was shown when my narcolepsy started in my dream I was a small child I saw myself sat on a wall outside a dim old overgrown house with a woman who was cold towards me, I was then mad aware of a dark browny black sticky tar substance that covered a small patch on top of my head. I have always wandered what this meant, in my dream I was expecting to see myself fall on my head as a baby or something like that but of course I did not see that, I was just shown the black sticky substance on my head what you have written is incredible. really wow, for this :) I just had to tell you ! Thank you for you advice, I really appreciate all that you have sent and will use it well and ask for guidance. Wow, I love this so much, this is so amazing that you think this way this is such a generous thought and offer from you, really I am so surprised by your response and you have restored my faith in the wonderful nature of humanity. I book an appointment for the healing session and my counsellor Adrian went through the session healing with me that takes about an hour. It was such a miracle from God to give me wonderful words like I will be healed, have peace. on the 3rd week which is 19th November after went for my CA125 blood test and consultation, the report cames out that my CA125 has gone down from 100 to 50. doctor does a pelvic scan on my stomach and found no trace of Ovarian Cyst in my right womb ! my fibroids in my left womb has gone down from 1.58cm to 0.87cm. 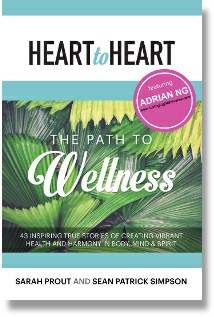 Adrian Ng is co-author of “Heart to Heart: The Path to Wellness” book, together with Dr John Demartini and Bob Doyle from the International bestseller “The Secret” book and movie.